How did you start investing in startups? After graduating from college, I worked at the venture capital (VC) branch of a major securities firm for three years. After spending another year at Incubate Fund, an independent venture capital firm, I founded my very own Skyland Ventures in 2012. Entrepreneurs tend to seek advice from seasoned investors with startup experience. What’s your strength? Experiences in leading projects successfully are invaluable. At the same time, there are probably just a few venture capitalists who work hand in hand to improve a startup’s business, organization, and finance. My strength comes in the knowledge I can derive from my experience. I was recently able to find engineers and designers from Twitter who were willing to commit to my investment startups. I’m happy to see more talent working at places with high growth potential. You’ve raised money to invest from your business partners. Why do you think they trust you? Successful entrepreneurs and firms with large business are likely to understand the value startups provide in creating for a better future. There are many who want to support startups. What made you start your own VC? Back when I was a student, I had the opportunity to meet Kazutaka Muraguchi of Nippon Technology Venture Partners. 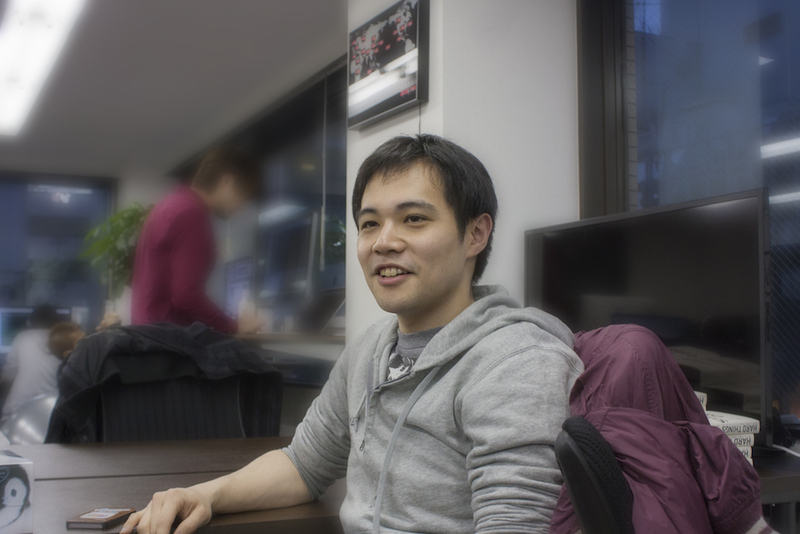 He had invested in companies like DeNA, which is now a mobile gaming giant. He inspired me to contribute to creating the future as a venture capitalist. Like myself, many who work in Japanese VCs have backgrounds in finance. However, I believe VCs can not only provide financial support, but also business support, which is still nascent in Japan. For example, I helped Translimit, a smartphone game company I invest in, by introducing engineers and opportunities for good hires at relevant events. This is in stark contrast to banks that usually just examine the financial statements. I see you share your office with Translimit. We started off together in the same shared office at East Ventures. After receiving investments from those like LINE (creators of a dominant messenger app in Japan), they generously offered some space in their office for me as well. I’ve been able to closely observe Hiroki Takaba, who leads Translimit. I learn a lot from the way he has his hands on the product and his team around the clock. When I introduce engineers to support his endeavor, I set up appointments at our office to let him focus as much as possible. We live in an age of chat messengers, but talking face-to-face is still the best way to communicate. Even large enterprises with tens of thousands of employees assemble their offices in close proximity. 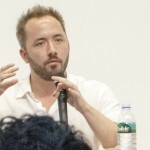 What’s necessary for a livelier startup culture in Japan? We need more engineers. Dysfunctional colleges are failing to nurture enough engineering talent. We need more colleges like Stanford with a strong expertise in computer science. As pointed by Yukihiro Matsumoto, creator of the Ruby programming language, do you think there’s a problem with engineers’ low wages? There are profitable Japanese companies, but American counterparts like Google are miles apart in their profitability. This is reflected in the difference in their salaries. The scale of investments in startups in Silicon Valley are also miles apart from those in Japan. After all, the global market targeted by such startups is massive compared to the domestic market Japanese startups aim at. So the amount of investment differs too. I’m looking forward to Translimit with their “Brain Wars,” a game that has garnered 95% of its users from overseas. I wish success to all of my investees for global expansion, but the language barrier isn’t insignificant. 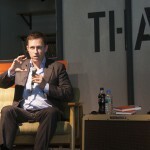 You frequently host startup events, especially those geared towards students. Students nowadays are amazing. The millennials have higher digital literacy and thus incredible potential in the fields of startups. Including you, Ricky. I beg to differ. Students may have little to lose, but what strength do they have to succeed? Aren’t you interested in startups Ricky? If you intend to start one, let’s do it soon! I admire entrepreneurs who challenge the conventional, but I don’t find it reasonable to follow suit without a sound strategy. Perhaps you should try interning. It’s important to pick your employer carefully. For instance, a company with only three employees may not have a definite sense of direction. But you’ll find better luck at one scaled to 10 employees along with a growth strategy. You speak English, so some startups would be interested in you. Why not use your strength in communicating? That sounds like a plan, but I’d also be interested in engineering so that I could harness the skills to make products on my own and then form a team. Kinoshita-san, how did you find what you wanted to do? What does Skyland Ventures aspire to achieve? To gather resources and transform Shibuya into a Mecca for startups. I’d like to emulate the enthusiastic startup spirit from its source, Stanford. 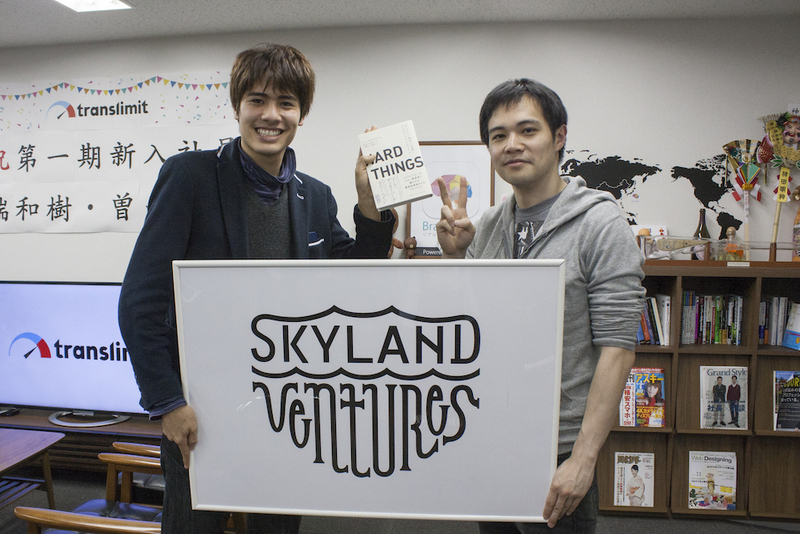 Mr. Kinoshita will be hosting Skyland Ventures Festival Tokyo, an all-English startup event on June 21. Born in Yokohama, 1985. 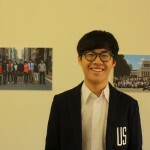 After graduating from Waseda University’s Engineering Department in 2009, he worked at a couple of venture capitals. 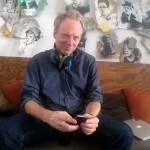 Founded Skyland Ventures in 2012.